The High Level Panel of Experts on Food Security and Nutrition (HLPE) was established in 2010 as the science-policy interface of the UN Committee on World Food Security (CFS). The HLPE aims to improve the robustness of policy making by providing independent, evidence-based analysis and advice at the request of CFS. 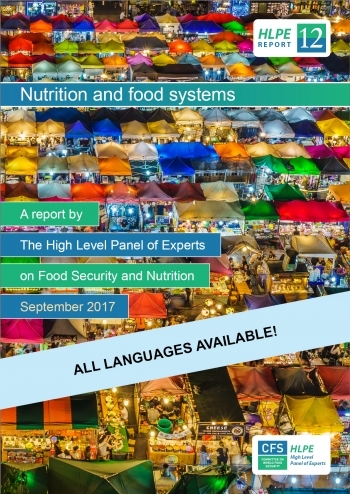 26/03/2018 – Translations of the 12th HLPE report Nutrition and food systems are now available in all UN official languages! Please click on the link below to download the document in your preferred language. With growing attention to nutrition-agriculture linkages, understanding how to create nutrition-sensitive agriculture and food systems is an essential task for the future. 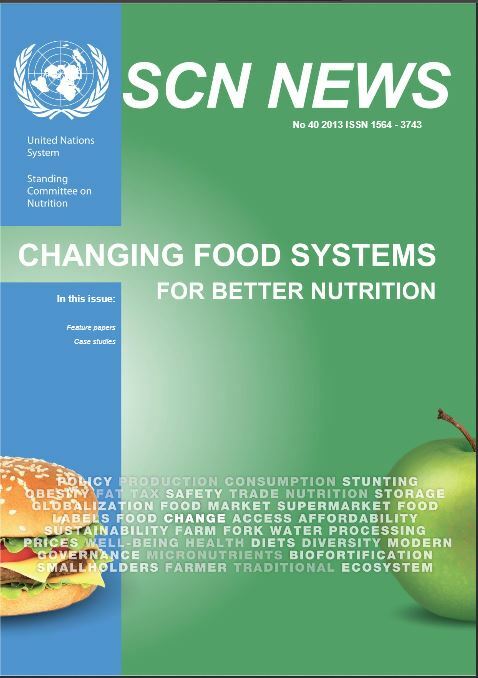 This edition of SCN News, entitled, ‘Changing Food Systems for Better Nutrition‘ provides an overview and insights on how to change food systems for better nutrition. This edition feature papers looking at what is going on now in terms of programming and policies, and also papers considering how to accomplish change. The case studies provide concrete examples of how countries and cities are integrating agriculture and nutrition. This edition also contains an interview with Alan Berg, one of the nutrition pioneers, and provides an enlightening testimony of an individual’s efforts to bring nutrition and agriculture together. It also tells the story of a nutritionist winning a Grammy Award. Access the complete SCN News 40 now and happy reading ! !